The way families (and friends) communicate these days. 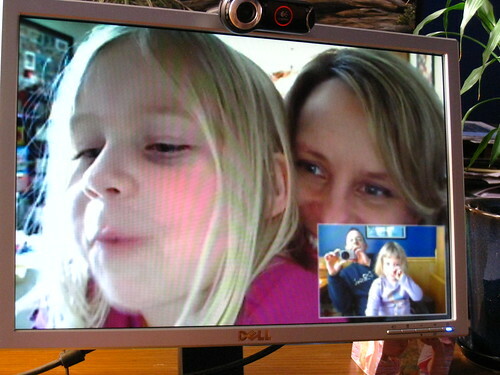 Beck hooked us up with 2 of these webcams (after reading this) for Christmas and we were messing with them and the girls *loved* them! They were running back and forth from each room laughing and loving the technology.